EVGA introduces its newest GeForce GTX 1080 Ti model, the EVGA GeForce GTX 1080 Ti FTW3 ELITE 11GB with blazing 12GHz memory clock speed. This offers up to 528GB/s memory bandwidth, a 9% increase in total memory bandwidth compared to the 11GHz variants. 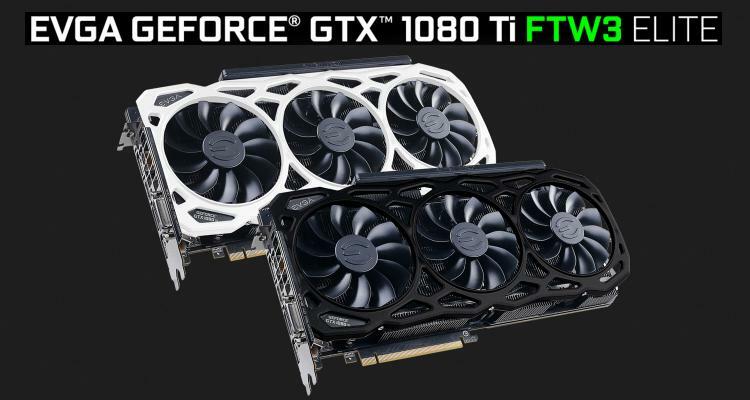 The 12GHz edition GTX 1080 Ti FTW3 ELITE cards are available in white and black colours. It features EVGA’s iCX Technology offering advanced temperature monitoring and fan control with the help of nine thermal sensors. It also features on-board thermal LED indicators for quick real-time monitoring at a glance. - Featuring a total of 11 global patents (pending and granted), iCX is efficiency perfected. - 9 Additional Sensors and MCU's embedded on the PCB. - Newly Designed Die-Cast Baseplate and Backplate. - Full Control Using EVGA Precision XOC. - EVGA's iCX is the Very Definition of Interactive Cooling. Learn more about the EVGA iCX Technology here. Learn more about the new EVGA GeForce GTX 1080 Ti FTW3 ELITE 11GB 12GHz edition here. The EVGA GeForce GTX 1080 Ti FTW3 ELITE 11GB 12GHz edition gets an MSRP of $849.99, the white colour variant is available now and the black colour variant will be available shortly.